For some, the start of holiday shopping is the day after Thanksgiving. For others, it's the day after Halloween. But for many Houstonians, the Houston Ballet Nutcracker Market is the true kickoff for the Christmas season. The market is one of the biggest of its kind in the United States. 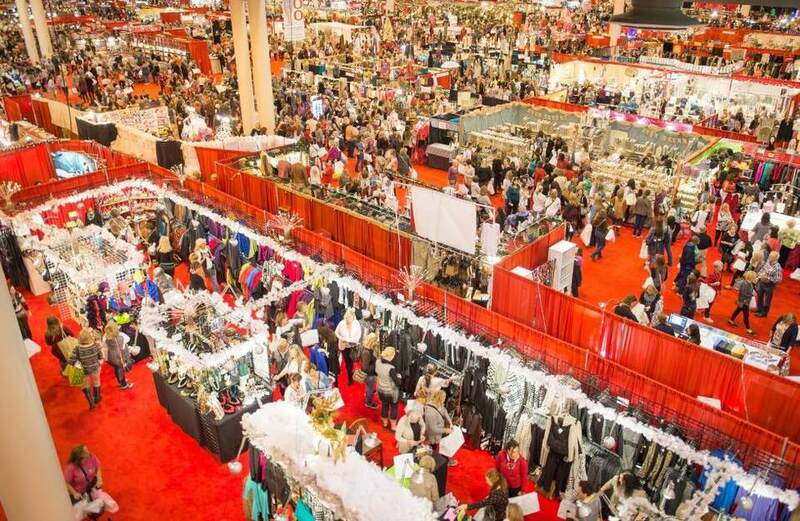 And with all kinds of apparel, food, jewelry, and decor, this massive bazaar is the best spot in the city to find the perfect gift for everyone on your list. If you're venturing to the market for the first time, here's what you need to know before you go. The Houston Ballet Nutcracker Market started in 1981 as a new way to raise funds for the Houston Ballet, and it quickly became one of the largest and most popular fundraising events in Houston. Eleven percent of all merchant sales made at the market (plus admission and special event ticket proceeds) benefit the Houston Ballet and its many programs. Housed at NRG Center—the same location where the Houston Livestock Show and Rodeo is held—the market has rows upon rows of merchandise and food for sale. The event sees more than 100,000 shoppers over the course of just four days in mid-November and features nearly 300 vendors, each offering unique and interesting items for sale. The Nutcracker Market is packed to the brim with shoppers, sellers, and merchandise. Crowds pile in most days as soon as the doors open, and peak times can leave you shoulder-to-shoulder with other patrons as you make your way through the aisles. Because of crowding, anything with wheels like strollers and wagons is not permitted inside. The only exception is personal mobility assistance devices like wheelchairs and walkers. Roughly 300 booths are set up to sell products ranging from clothing to home decor to gourmet food. Vendors aren't set up by category, so if you are looking for something specific, it's best to look at the market layout ahead of time and map out your route. For first-timers and those looking to take in the full market experience, it's best to start at the back and work your way forward. This can help you avoid the bottleneck that typically occurs at the front and let you meander without feeling rushed or overcrowded. Doors open at 10 a.m. for general admission, but early bird tickets that allow you to get in on Thursday and Friday at 8:30 a.m. can also be purchased ahead of time by calling the market organizers by early November. In addition to shopping, the market also hosts a series of events leading up to and coinciding with the market. Preview Party: The Preview Party is an opportunity for people to get a sneak peek at the merchandise on sale before the crowds descend. The party takes place on Wednesday night from 6:30 - 10 p.m., and features some fun extras to accompany your shopping—such as live entertainment, food, and drinks. Saks Fifth Avenue Fashion Show and Luncheon: Two fashion shows and luncheons take place during the market. The first is put on by Saks Fifth Avenue Inc. on Thursday morning from 10:15 a.m. to 12:30 p.m. It being Saks, the fashion displayed is decidedly upscale and ritzier than the Macy's show on Friday. In 2019, tickets were priced to start at $150 and included admission to the market for all four days, as well as an opportunity to shop a full hour and a half before the doors officially open Thursday and Friday. Macy's Fashion Show and Luncheon: Macy's hosts its own fashion show and luncheon on Friday from 10:15 a.m. to 12:30 p.m. As with the Saks show, admission were priced at $150 for 2019, and tickets are good for all four days as well as early-bird shopping on Thursday and Friday. Macy's fashion show features apparel geared more toward everyday wear and family apparel. While nutcrackers are, in fact, sold at the market—at least two merchants sell them—they aren't the biggest draw. One of the most popular items for sale year after year is Donne Di Domani spaghetti sauce. The flavorful, old-world Italian marinara sauce has been sold at the market since the early '90s—and even at $10 a jar, it sells out quickly. The women behind Donne Di Domani, which means "women of tomorrow" in Italian, donate all of their proceeds to charity and have built up an avid following of market goers. Another popular vendor is home decor designer and seller Paul Michael. This Arkansas-based company creates stunning decorative items and furniture from largely reclaimed wood and architectural salvage pieces. The result is a slightly rustic aesthetic with lasting value. Other great spots to look for are the food booths. From gourmet cherries and caramel to tea mixes to smoked meats, there are a ton of interesting treats to give as a gift or to use to class up your holiday party. The busiest time at the market is Thursday morning right when the event opens. But if nudging your way from booth to booth isn't quite your thing, your best bet is to visit Thursday and Friday in the afternoon. The crowd starts to thin at about 3 p.m., and half-price admission starts at 5 p.m. Sunday mornings are similarly quiet, though activity starts to pick up around lunchtime. The market is held at NRG Center near Houston's Med Center. Parking at NRG Park is $12 during the market, and pedicabs and shuttles are available to take you from your lot to the entrance. Traffic can be very heavy during peak times, so if driving to the market, expect delays. A cheaper and perhaps slightly less stressful option is to park at one of Metro's park and rides and take a bus or the METRORail Red Line straight to NRG Park. You can also take a ride share. Uber's pickup and drop-off spot is available along NRG Parkway between NRG Center and NRG Astrodome. Tickets can be purchased ahead of time at Ticketmaster.com and Randall's for $18 or at the door for $20 with cash or check only. To book tickets for special events, you must call ahead to the event's organizers at 713-535-3231.